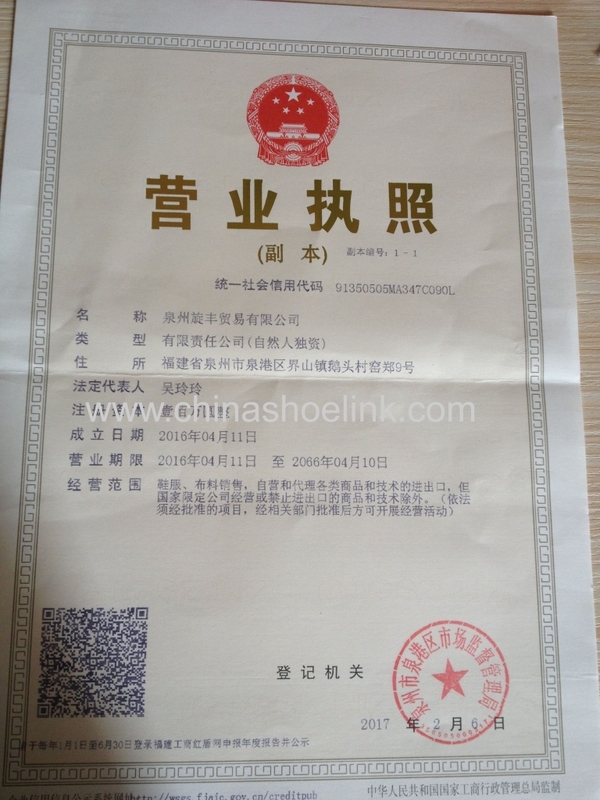 Certificates - Quanzhou Xuanfeng Trading Co., Ltd.
Quanzhou xuanfeng shoes co.,ltd locates in quanzhou of China from Apr 2016. We work as sales department for 3 factories. Which made sport shoes,women leather shoes and canvas shoes. 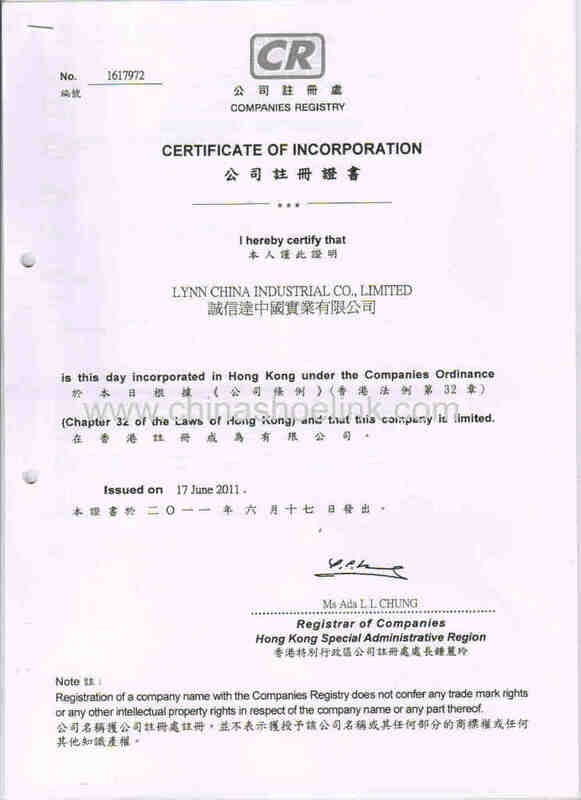 Lynn China Industrial Co.,ltd locates in Hongkong from Jun 17th,2011. As one the best sport shoes suppliers from China.